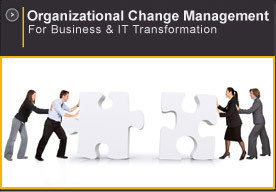 OTA offers a series of OCM training seminars for change agents, project team members, executives and consultants. These seminars walk the participants through the activities and deliverables of OTA’s OCM Methodology. These seminars, which focus on the change challenges facing the participants, transfer versatile organizational change management skills, building a critical competency for today's rapidly evolving business environment. Facilitated by our most experienced practitioners, these interactive workshops help build commitment around the project's change objectives and deliverables. An Organizational Change Management (OCM) certification program, used to certify OTA consultants, is available for customers who wish to build up their internal change management capabilities. 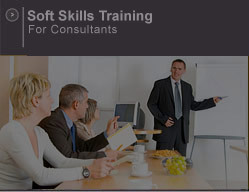 To view our SAP-specific OCM training curriculum: click here. This one-day workshop helps executives and senior managers gain a strategic and practical understanding of ERP Solutions. Key features, benefits and potential impacts are highlighted. The workshop also introduces the role that executive teams play in the successful governance of an ERP project. Intended as an interactive presentation, this session is facilitated by a strategic change management professional from OTA that can describe the multiple facets of an ERP Solution. This seminar provides executives, senior managers and project management teams with an understanding of best practices on ERP implementation governance, project/risk management and value/change realization. These three areas are covered at a high level in day 1, while days 2 and 3 focus on the methodology, tools and techniques for project realization. Emphasis is on the roles and responsibilities of all project stakeholders when applying the ERP implementation methodology. Workshops on common risks (i.e. decision making, requirements definition, management of stakeholder expectations, organizational change) allow participants to discuss preventive and corrective actions relevant to their own project. Intended as an interactive session, this workshop is facilitated by a strategic business consultant from OTA. - Managing the business impacts and organizational changes necessary to the realization of value goals. Managing the “people” aspects of IT and e-business initiatives are one of the greatest challenges facing implementation teams. Drawing from lessons learned in multiple implementations in a variety of sectors, this seminar introduces proven techniques and skills for developing key organizational change management deliverables. Through examples and simulations, participants learn the techniques and skills needed to assess risk and readiness in each phase, define coalition and communication strategies, as well as how to prevent / defuse resistance. An understanding of the process of change and the triggers for resistance. Tips and techniques to manage change. A fundamental goal of Information Technology (IT) and e-Business initiatives is the adoption of new business practices and their associated processes, roles and responsibilities. Analyzing these impacts and transitioning the organization represent the bulk of Organizational Change Management (OCM) efforts. This workshop is intended to allow customers, over time, to act with autonomy. This is achieved by transferring to participants: practical techniques, tools, skills and lessons learned from multiple IT implementations. These allow project team members to effectively engage line managers and contribute to a smooth go-live and benefits realization. Simulations and case studies help participants perfect their skills and apply the techniques to the real-life challenges they will encounter.